Click the button below to add the Dandruff Clear Scalp Shampoo #Dandruff Shampoo# to your wish list. If you think that the ingredients in many dandruff shampoos might do more harm than good, then you are not alone. Ketoconazole, Tar, Sulfur, Fragrance, or Sodium Chloride which is salt are some ingredients in dandruff shampoos. If you have scalp issues, adding salt or fragrance may cause irritation not to mention the other ingredients. This, in turn, may increase your dandruff or scalp problems. Try something new that might save your scalp. Our Clear Scalp Shampoo is not a cure for dandruff. 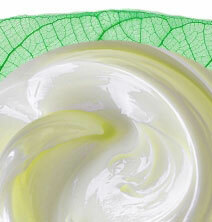 Instead, it focuses on the overall environment of your scalp and hair. By not using harsh chemicals, your scalp may begin to restore itself. This nutrtious formula gently and safely cleanses your hair all the way down to your follicles, leaving hair healthy, revitalized and flake-free. Exclusive to our shampoo formula, ingredients like Andiroba, Karanja, Manuka, and Oregano are naturally anti-bacterial and antimicrobial have been added to enhance while cleansing. I tried all of the others and was tired of putting one chemical treatment after another on my scalp to try to get rid of my dandruff. I have thick hair, and I've used so many products. This is the ONLY dandruff shampoo that worked for me. Not only has it been great for my dandruff but my hair feels and looks healthier. I kid you not when I say people ask me what shampoo and conditioner I use after I started using this. Living flake free for the first time and get say thank you enough. Discover healthier looking shinier and more manageable hair with no flakes. Authentic nutritive ingredients that nourish your hair and scalp. This shampoo is gentle for all hair types and safe for daily use. Removes dead skin, loose flakes and clears hair and scalp for a clean, fresh appearance. 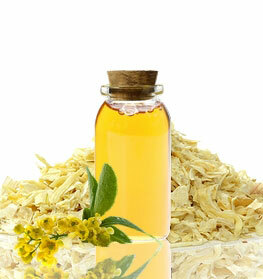 Licorice Root extract calms dry, irritated scalps. This works great for bad dandruff with scalp or hair smell. I was looking for a more natural choice to the chemical loaded products out there. I found this shampoo and decided that the ingredients might help to get my scalp back to normal. Within two weeks or so, my dandruff flakes were gone! This shampoo leaves my scalp and hair smelling better than ever and does not dry out my hair. I use it once a week or twice if a sweat a lot. Highly recommend, it’s a keeper. I very impressed as I've had scalp issues all my life. I wanted a sulfate free shampoo and this one works for me. I have itchy, flaky scalp and I hate to admit that stinks sometimes. Within two weeks of using every other day, my scalp improved almost entirely. No more stink or flakes. It is very soothing and healing for my scalp. I have not felt this good in years! Thank you. You will see improved scalp relief and healthier, softer hair. Aloe Vera promotes hair health, prevents itchiness and dryness, reduces redness and inflammation and has antifungal properties. Comfrey Root Extract restores sheen and conditions hair. Nettle Root Extract helps in hair health and is perfect for treating dandruff. Andiroba Oil, Karanja Oil, and Oregano are some of nature’s strongest antibacterial ingredients which hydrate your scalp to help alleviate symptoms of dandruff. Enhanced with botanical extracts of Licorice Root leaving your hair and scalp fresh. • Rinse out your shampoo using lukewarm water. Make sure you set your final rinse to cool water. This method will make your hair shiny and smooth. • Try not to shampoo every day. Daily shampooing can irritate the scalp, which can worsen dandruff and flakes. We suggest shampooing every other day or twice a week. • Avoid applying conditioner on the scalp as this can cause flakes and itchiness. Apply your conditioner on the mid-shaft to ends only. Aloe Barbadensis (Aloe Vera Hydrosol),Symphytum Officinale (Comfrey Root) Extract, Glycyrrhiza Glabra (Licorice Root) Extract, Urtica Dioica (Nettle Root) Extract, Carapa Guianensis (Andiroba) Oil, Pongamia Glabra (Karanja) Oil, Origanum Vulgare(Oregano) Oil, Azadirachta Indica (Neem) Oil, Brassica Oleracea Italica (Broccoli Seed) Oil, Ricinus Communis (Castor) Oil, Decyl Glucoside, Sodium Lauroyl Isethionate, Vaccinium Macrocarpon (Cranberry Seed) Oil, Lavandula Angustifolia (Lavender) Oil, Cymbopogon Flexuosus (Lemongrass) Oil, Leptospermum Scoparium (Manuka)l Oil, Citrus Sinensis (Orange) Peel Oil, Pogostemon Cablin (Patchouli) Oil, Melaleuca Alternifolia (Tree Tea) Oil, Caprylyl Glycol, Cocos Nucifera (Coconut) Oil, Pelargonium Graveolens (Geranium) Oil, Glycerin, Hydrolyzed Jojoba Protein, Guar hydroxypropyltrimonium, Rosmarinus Officinalis (Rosemary) Oil, Panthenol (Vitamin B5), Tocopherol (Vitamin E). Thank you for your amazing products! For more than 20 years, I have had dry patches on my scalp that would show up every so often. For the most part, I used a prescription cream for a few days and it was gone. For the past 6 months, nothing I used helped. My dandruff shampoos seemed to make things worse. It got to the point where some of the areas actually hurt and I’d also had been scratching throughout the day. I couldn’t take it anymore. I searched for nutritive solutions and found your products online. I ordered shampoo, conditioner and the dandruff relief treatment and couldn’t wait for them to arrive. I used them the same night of arrival and IMMEDIATELY felt a difference! That night and the next day, my scalped barely itched, I rarely had thought about my scalp and even the pain went away I am so grateful to have found you. Thank you. You have a customer for life. I really can't believe that this botanical stuff works, because I've tried so many dandruff shampoos that I sort of gave up hope. But it works and I am one very happy customer. It smells good and it doesn't leave your hair feeling like you ran a bunch of chemicals through it. This is a great product. Stops the itching and other horrible side effects of having too rapid a cell turnover on my scalp. Much gentler than other dandruff shampoos. And, as a bonus, this stuff left my hair smelling FABULOUS. I've tried tons of shampoos, and this one helps my dandruff problems. This stuff stopped the itch and flakes that other products didn't help. Love that it is nutritive , I don’t like putting chemicals on my scalp. This one works and delivers results. This is the only shampoo worth buying. I like this shampoo better than all the other dandruff shampoos I have tried. It has a nice fresh scent and it leaves my hair and scalp feeling nice and fresh and not overly conditioned. I apply the shampoo on may scalp and hair... It works great and you can feel is really nutritive , is not aggressive. Fabulous product. ! ...i approve of all the ingredients, unlike most of the others. i will definitely be using this products for life! Thank you so much. I believe this dandruff shampoo has been very beneficial in helping to reduce and maintain the advance of the dandruff that I have. It is nutritive and alcohol free so mild to my scalp. My favorite shampoo!This shampoo is perfect for everyone who is constantly itchy.I have very fine and slightly wavy that is on the thin side. My scalp is very sensitive, and I have to be careful of on certain items that I add to it. I have bought this shampoo and used it the same day it came. I love that this shampoo is sulfate free and natural. My scalp looks like what they show in the head and shoulders commercials. One of the best shampoos I've tried. My hair is thick, dark and cropped short. I usually get a lot of build up, and my scalp gets extremely flaky.I was sick of buying the foul smelling over the counter shampoos. They didn't do much for my hair or scalp. I was looking for a natural alternative. I was looking up the information about the natural shampoos, and your website came up. I read the reviews on your site, and I purchased this shampoo with lots of faith. I received the shampoo in a timely matter and used it on the 3rd day of receiving it. I love that the shampoo doesn't have the horrible smell other shampoos have. My hair felt smooth, and my scalp felt clean and soothed. By the end of the week, my hair still looked fantastic, and my scalp stayed flake free. I have been searching for a natural dandruff shampoo that actually works for years. I went back to a Lush shampoo bar because it was the closest I could find that kept my dandruff away, but because it is loaded with SLS, my hair was always dry and it made me break out along my hairline. SO glad I found the Just Nutritive shampoo! My hair went through a purging period of about two weeks where I had to wash my hair every day to keep the oil at bay, but it's used to it now. My hair is super soft and shiny, no flakes, and no breaking out. The ingredients in all these products are very impressive, and I'm so excited to try more! Thank you for creating a natural company with products that work well and have truly great ingredients that I can trust! I have always used drugstore shampoos and conditioner most of my life and they have always worked how i thought they should until I got older and my hair along with my body changed. I only used expensive shampoos when my hair stylist had a sale going on or they suggested it. As i grew into my late 20's I have realized my hair has thinned and whenever I am stressed or it is really hot outside, I get severe dandruff. I have tried every drugstore product out there and nothing worked. I made the decision to try this product first before going to my doctor to get a prescribed shampoo. Withing the first few times i have used it, my dandruff has cleared and my hair feels and looks amazing. It doesn't feel weighed down or like i still need to rinse everything out. I am obsessed with this brand. You don't need to use a lot and it feels so natural. I will definitely will be using this product along with others for a long time and i already recommended it to my friends and family. Best Product AND it's natural! I have seborrheic dermatitis. I have tried EVERYTHING - Head & Shoulders, Selsum Blue, Neutrogena Tar Shampoo, Pure Apple Cider rinsing, Listerine, RX Ketoconzale, and even the RX overnight oil they prescribe. Nothing worked. I probably wouldn't have minded if it was just the flakes, but my scalp was itchy, irritated, and inflamed! This product has calmed my scalp tremendously! I still have some flakes and if I'm consistent and wash everyday it gets better, but I'm so grateful to have found a product that just leaves my scalp and hair feeling amazing! After you try their products you won't be able to go back to anything else! Great job Just Nutritive! Very effective and non-chemically induced shampoo. Use until flakes are gone and then once or twice a week to keep dandruff under control. I've had dandruff issues on and off for over 10 years now. Most often, drug store brand shampoos worked but of course smelled awful. Then about 3 years ago, nothing was working anymore. My dandruff was the worst it's ever been. My mom found you guys on Pinterest and told me about it; I was desperate so I ordered the shampoo, conditioner and intensive scalp treatment. THIS STUFF IS AMAZING. I can't thank you enough; I've been a loyal customer ever since. Words can not express how much I love this product; not only did it help with the nasty effects of dandruff (mainly itching and flaking) but like all the other reviews state, it actually has a pleasant smell unlike every other dandruff product out there. I enjoy making my natural products but couldn't find a way to get rid of my dry, flaky scalp. I washed my hair and scalp twice a week. This shampoo significantly improved my scalp and hair condition. I hardly have any itching, and I have gotten many compliments. Happily recommend! After my third use/second week of use, my dandruff was completely GONE!I was frustrated with the state of my hair and scalp. My once thick hair become dry, brittle and thin and my scalp formed a thick crust. I was going to giving up until one of my generous friends gave me a bottle of this Clear Scalp Shampoo. It has a very clean smell, and the results are worth it. I have already ordered an extra bottle of this shampoo.